I Finally Ate Geoduck—and You Can Too! Try the famed/feared giant saltwater clam for yourself, tonight only at Kata Robata. My first encounter with a geoduck was on TV, but not on a cooking show. It wasn't the episode of Chopped where the chefs all receive a basket filled with geoduck, Buddha's hand, black radishes, and waffle cones—instead, it was an episode of Dirty Jobs on the Discovery Channel. I watched with equal parts horror and fascination as host Mike Rowe squatted in the muddy waters of western Washington's Pacific shoreline and pried what could only be described as "sea penises" from the muck. The episode only got worse from there, showing in painstaking detail how geoducks reproduce. As of that day, geoduck—pronounced "gooey-duck"—was added to the extremely short list of things I won't/would never eat, alongside licorice, casu marzu, and honeycomb (the latter two because I can't stand the idea of tiny animals crawling around inside of food, and the former because licorice is just disgusting). Even though I never planned to encounter geoduck—or casu marzu, for that case—it was forever struck from my book in all its squirty, muddy, phallic repulsiveness. 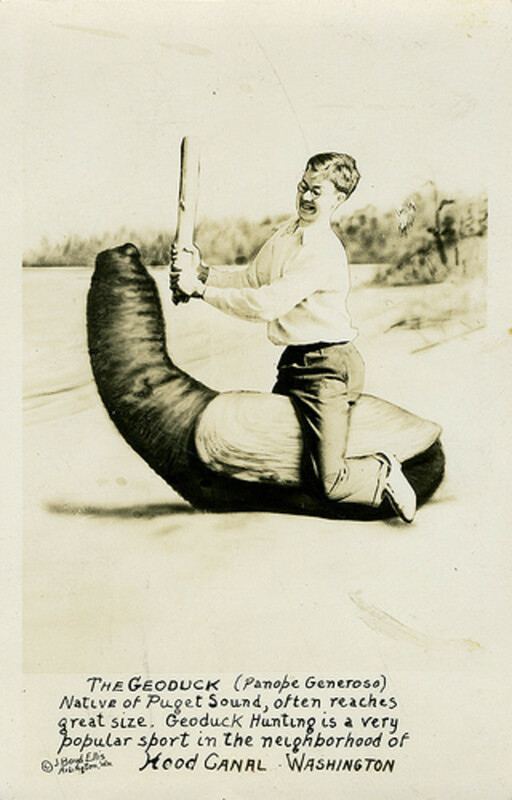 This postcard is trying to get me to believe that geoduck-clubbing was once a thing. I never planned to encounter geoduck in Texas because the giant saltwater clam (yeah, you'd never guess it was a clam from looking at it, would you?) 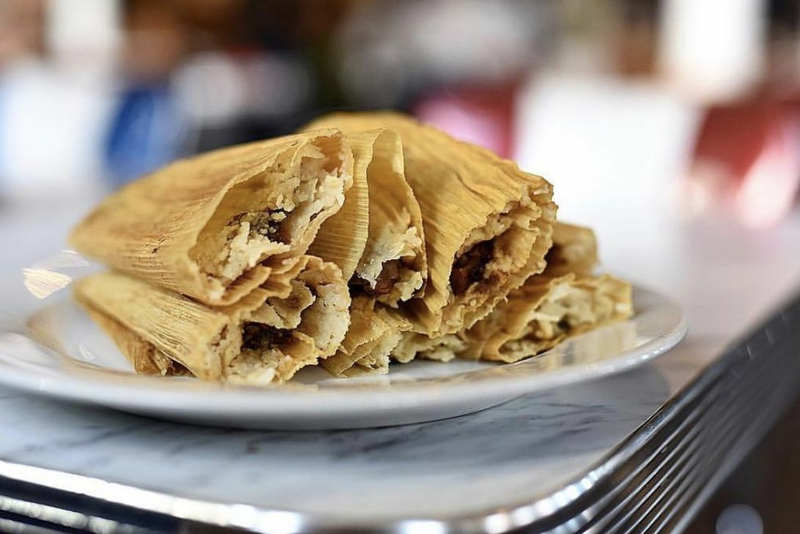 is mainly farmed in the Pacific Northwest and the western coast of Canada—it's not native to our waters and is tough to find down here. And yet there it was, five years after I'd sworn off geoduck, sitting on the menu in front of me at Kata Robata last night. It occurred to me in that moment how stupid I'd been; it's just a clam, after all, and I love clams—especially raw clams. But more importantly, it's a clam I may have few other opportunities to eat, unless I end up living in Quilcene, Washington some day. And for only $7, I couldn't pass it up. I ordered a piece of geoduck sushi from my perch at the sushi bar, and watched as chef Taka-san hauled out what looked like a piece of uncooked pork belly. It was a milky pink color, flat with a slight curviness to it and thick. It had a fleshy texture that suggested something not quite ocean-bound. I was relieved to see it wasn't the shape I was expecting. Taka-san slapped it down on the counter and spanked it roughly with the flat of his plam. 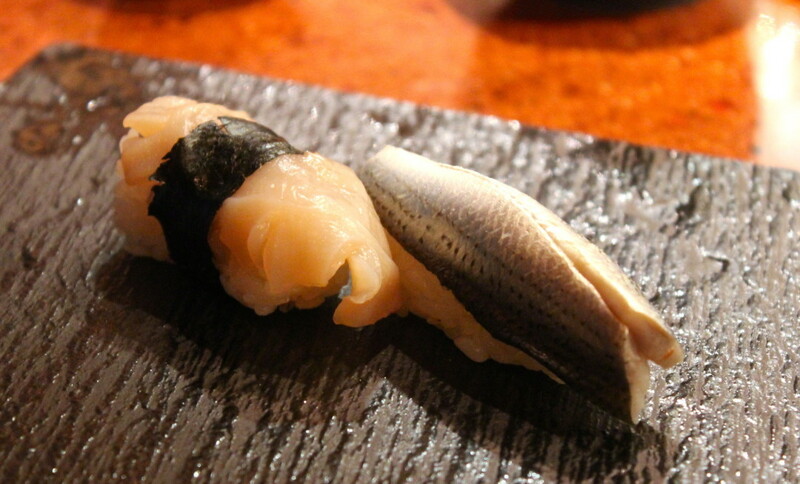 Geoduck sushi (left) at Kata Robata, along with gizzard shad sushi (right)—equally tough to find in Houston. The geoduck is $7; the gizzard shad is $4. "Still crunchy!" he said appreciatively. He sliced a piece off, one with slightly ruffled edges, and placed it atop a mound of rice he'd shaped with his hands. Sashimi-grade geoduck, like the kind served at Kata Robata, is prized in Japanese cuisine for that crunchy texture—much the same as hwe (Korean sushi) is prized for the various textures presented in one meal—as well as for its mild, barely salty, nearly creamy flavor. 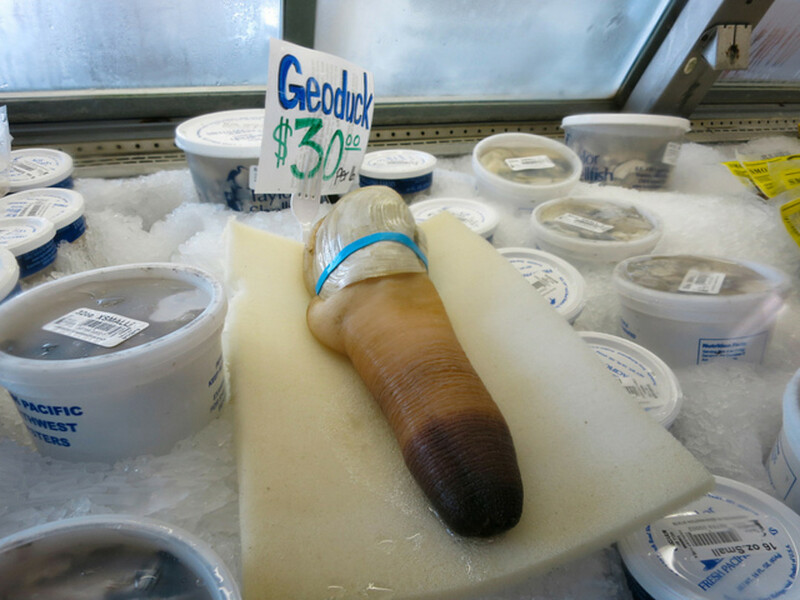 The geoduck lived up to its reputation. In contrast with the barely warm, sweetly vinegared sushi rice, it was a lovely little bite that straddled both sides of the Pacific in one tidy package. I was glad I'd relaxed my stance on geoduck, although still I plan to keep casu marzu out of my life as aggressively as possible. There's a pretty big difference between a saltwater clam and maggot-ridden cheese. If you want to try geoduck for yourself, get to Kata Robata tonight—if it sells well, this will be the last night it's on the menu. If you're lucky, it might stretch to tomorrow night too. 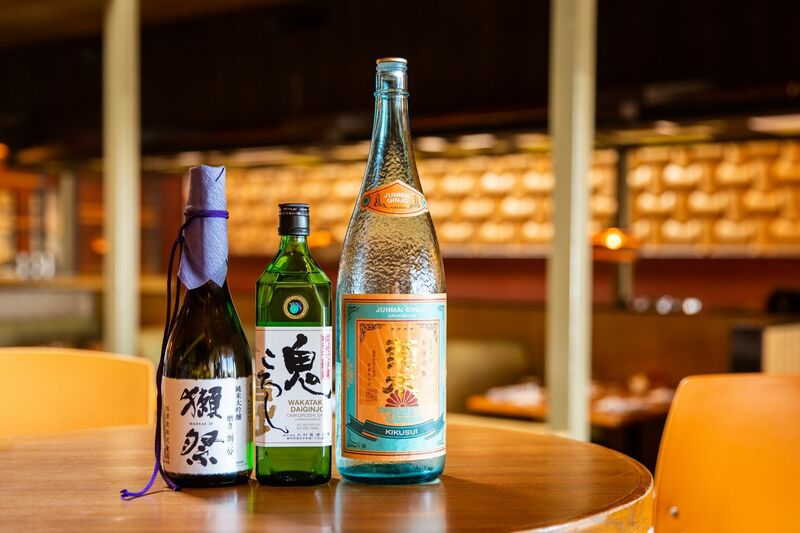 That's Taka-san's last night at Kata Robata as well. Hori-san's trusty sous chef is headed back to Japan to spend time with his family and work on research for the restaurant. 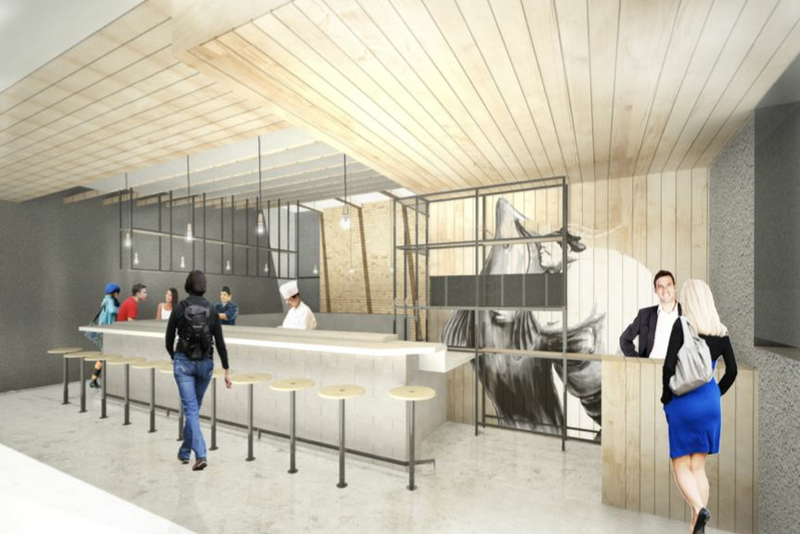 He'll be back at Kata Robata sometime next year—and if we're lucky, the geoduck will return even sooner.